Wooden fishing boat on the beach. Marine life. 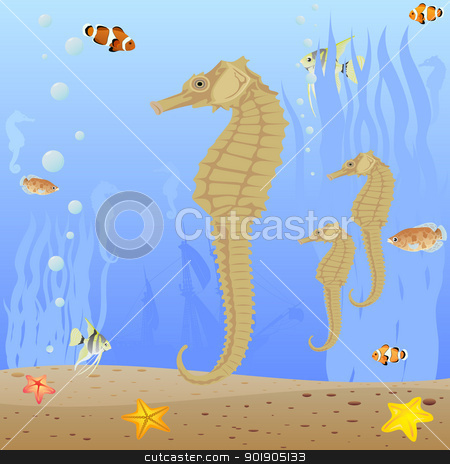 Seahorses swim in the sea.